This repositry contains the packages for simulating 'fake' (i.e. dummy or loop-back) joint driver for the ros_control framework. You may know MoveIt! 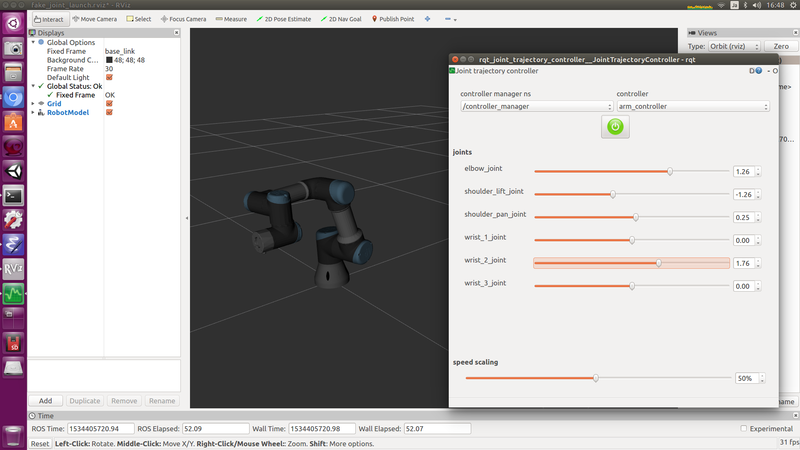 has own controller manager and moveit_fake_controller to simulate the robot motion. However, the interface and code are different from ros_control framework. We have experienced our jog_control package doesn't work with moveit_fake_controller while it works fine with ros_control. 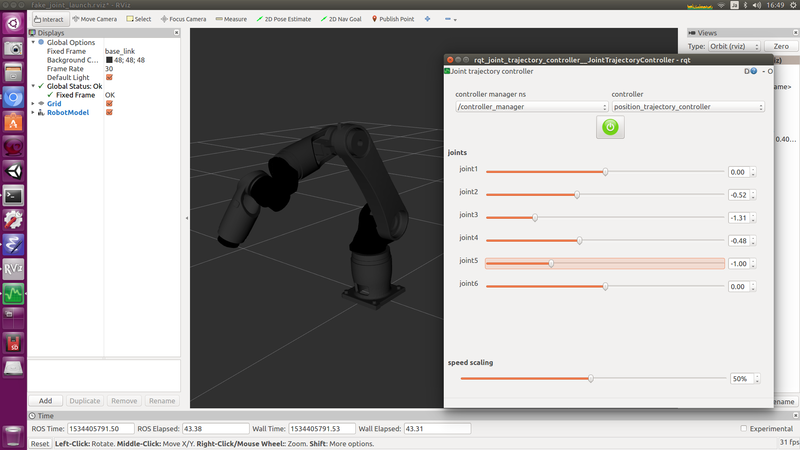 One solution is to make 'fake' joint driver for ros_control and not to use moveit_fake_controller. You can simulate the joint controller using gazebo plugin. However, sometimes it is overkill for the purpose. Gazebo is rather CPU consuming for powerless PC or CI environments. And not all of the robot support gazebo model. When some problems occured, say in MoveIt!, it could be difficult to know whether the problem is from MoveIt! setting or joint controller parameters. fake_joint guarantees the controller works perfectly, means it simulates the precice motion as commended. This package eliminates the possibility of controller side in your debugging. 'fake_joint_launch' contains some launch and config files for several robots. You can easily try this package. 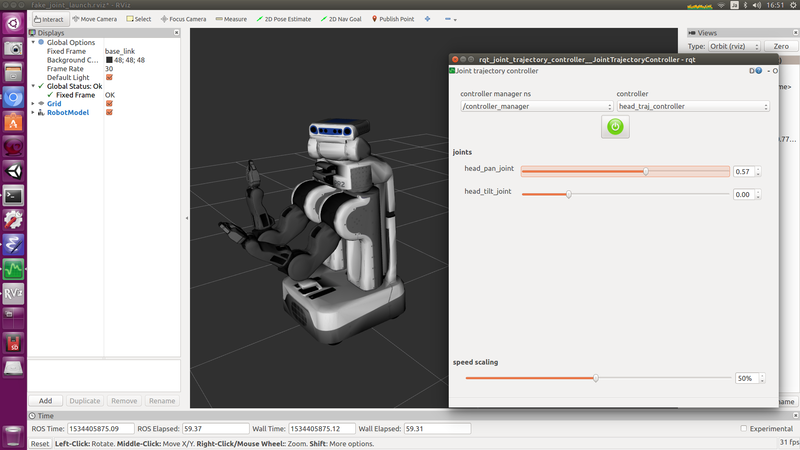 They simulate real robot interface like joint trajectory action, so you can use MoveIt! on it.